More info: www.SpokaneCivicTheatre.com. To see Sandy’s own Facebook page, go to www.facebook.com/pages/ Sandy/160293900701641. The sun will come out tomorrow. 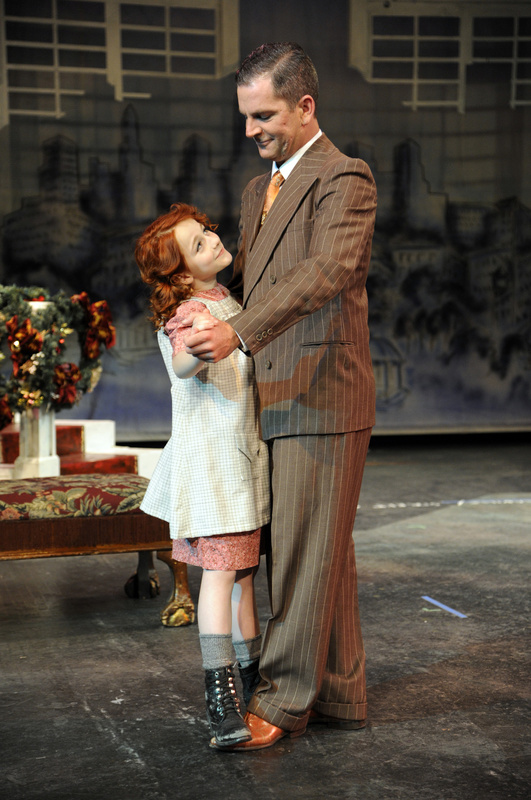 It’s a sentiment that’s been with us a long time, thanks to “Annie,” the classic Broadway musical about a little red-headed orphan girl, her dog, and the billionaire who comes to love her as his own. Spokane Civic Theatre will wrap up its 2011-’12 season with a production of the beloved play, which opens Friday. Sophia Caruso stars as Annie, and the large cast includes Phedre Burney-Quimby as Miss Hannigan, Mark Pleasant as Oliver “Daddy” Warbucks, Andrea Dawson as Grace and Sandy as himself. Yvonne A.K. Johnson directs.